As a teenager, when I started to read novels in translation, I ran so often into expressions like “fruncir el ceño,” “entrecerrar los ojos” and “encogerse de hombros” that I thought they were common usage in Spanish. Only later, when I learned that Spanish-language writers didn’t use them (or they shouldn’t), I realized that these phrases had been made up by the translators, who had agreed to translate some words the same way. Later, when my English got better, I found out that “fruncir el ceño” is to frown, “entrecerrar los ojos” is to squint and “encogerse de hombros” is to shrug. Noticing that English uses five letters where it takes Spanish twenty or twenty-five letters do to the same job, I wondered if English was a more efficient or economical language than Spanish. “No, no. All languages are equally efficient. That is why they exist and why people use them.” The respondent, not very seduced by my reasoning, is Edith Grossman, the translator into English of Gabriel García Marquez and Mario Vargas Llosa and the latest and much-praised version of Don Quixote (2003). “What is true, though, is that English has an enormous vocabulary, four or five times bigger than Spanish, French, Italian or Portuguese,” she says, in her Manhattan apartment. “Five times bigger?,” I ask, probably frowning. “Yes. That’s because there never was an Academy of the English Language and, for the same reason, there never was any censorship banning the import of words from other languages. English is full of words that come from Spanish, Italian, Yiddish and Native American languages. We import words from all over the world.” One of these words, not very honorable, comes from Buenos Aires, where I grew up. In English, the military government of an exotic country is known as a “junta,” just like in Spanish. 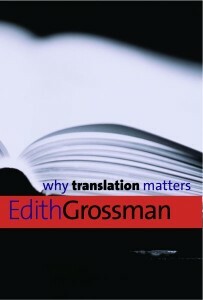 Grossman, who Harold Bloom has called “the Glenn Gould of translators,” could spend hours savoring and sifting through the minimal aspects of the art of translation. 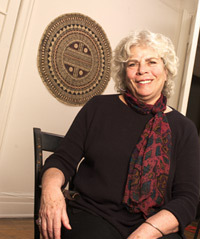 In recent years, however, she has dedicated a good chunk of her energy in a crusade to defend the literary and human value of her profession. Last year she published Why Translation Matters (Yale University Press), a polemic and manifesto where she denounces the indifference of English-speaking editors, reviewers, academics and readers when faced with novels originally published in foreign languages. DISCUSS: Does Translation Make Us Better People?